Happy Saturday! 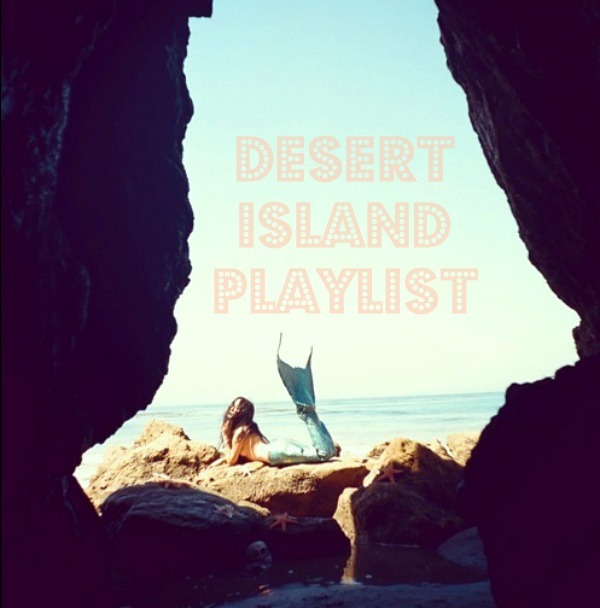 I'm so excited to kick off a new post series on the blog today: the Desert Island Playlist! Each Saturday, I'll be asking friends of mine to create a playlist of their ultimate, all-time favorite songs; the ones could last them til the end of their days on a deserted beach somewhere. As long as I can remember I've been the person who LOVES when one of their favorite songs come on. My family has been known to have all out singing sessions in the kitchen (wooden spoons in hand, naturally) and there's sort of nothing better than the memories made with certain songs in my mind. Playlists for road trips, sing-alongs at college day parties (I was always in charge of the playlists during ours), the jams to get you through commuting, (the song you were playing too loudly when you got your first speeding ticket?) My list has a little bit of everything because it's made up of songs that truly make me happy when I hear them - on the radio, at a bar, at a friend's house, in a store. From oldies to more modern songs, I chose all selections that you either already know the words to or will leave you hitting "replay" more than once. Stay tuned for a new Desert Island Playlist next Saturday! This playlist is musical perfection. Thanks for the jams, Meghan!